The European Union is currently comprised of 17 nations that have very strong economies with rapidly developing food processing and manufacturing industries. Of these nations, Germany has the strongest economy with a very strong currency and hence, has remained the highest importer of the guar products. These European nations cannot produce their own Guarkernmehl and they have to rely on imports from the rest of the world. The main reason being the fact that this is largely a tropical crop doing well even in arid and semi arid areas. The EU countries have a very advanced food processing system and sizeable population which provides a very good market for processed food and feed. What is even better is that, these nations are developed and have high per capita incomes with higher purchasing power. According to research, demand for the guar particularly in Germany is growing. According to statistics, in the year 2012 Germany was the second largest importer of this product and especially for food processing. The Indian subcontinent is a net exporter of the guar seed and the guar gum products, which contributes up to 70% of the global production. Recently it exported over 117 000 metric tons of guar and it products. 10% of this production goes to the European Union with the other bulk going to the United States. Guarkernmehl is a great thickener for foods, organic and a better option than other thickeners like the locust gum and xanthan gum. What is more advantageous is the fact that it has better thickening abilities while applied in relatively smaller quantities. Germany and Italy have the highest demand for the guar specifically for food processing. It has major uses in the oil production processes with a demand higher than that of the food processing. It has a good demand in the manufacture of cosmetic products and pharmaceuticals almost equal to that of the food industries. The United Kingdom being ranked 4th largest importer of the guar in the world also represents a sizeable demand for guar products. The main uses are for oil exploration and production, food processing, pharmaceuticals, and also production of cosmetic products. There has been a steady increase in the prices of the guar gum especially from the Indian sub continent. A metric ton has risen up to over 6000 USD up from 1800 in the period 2011 – 2012. This was largely driven by speculation of a pending scarcity by buyers leading to increased buying trend. It is also noted that the supply of the product increased over the same period. For the year 2014 – 2015, there has been an increased demand for the guar products due to increased activity in oil and gas exploration. In the Indian sub continent alone, the country is planning to dig over 30 shale gas wells. The United States has also increased its oil exploration ventures and this has contributed to further demand for Guarkernmehl. 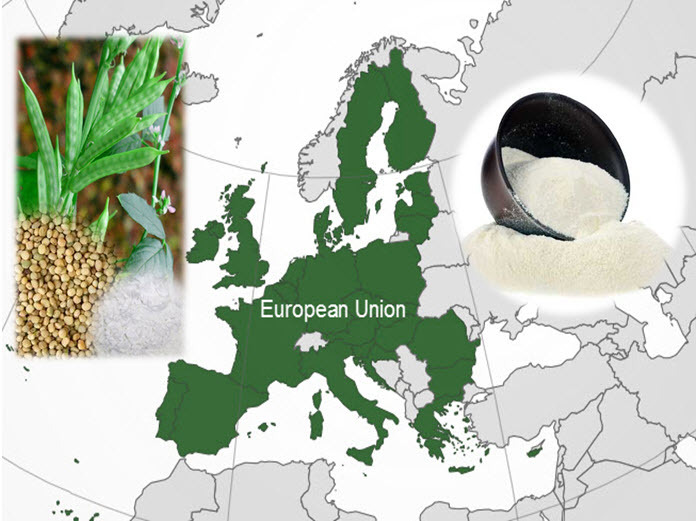 The European Union continues to be a major user of guar based products. More and more applications are coming up for guar products. It has also been used in manufacture of pet food. However it’s application in the food processing and oil mining sectors have remained the key demand drivers for this product.